Here’s a video of some action on Hungarian partridge (a.k.a., Huns, or Gray – or Grey – partridge, a.k.a. perdix perdix) in Hells Canyon the last couple of weeks. For a good read on these beautiful birds, check out Guy de la Valdene’s The Fragrance of Grass. Looks like peat is turning into a real deal bird dog! Thanks for sharing his journey. Very nice video Bob. Lots of birds, lots of beautiful country! Fortunately not everyone loves this wide open space. One of my favorite quotes from Wallace Stegner is “Sagebrush is an acquired taste”. 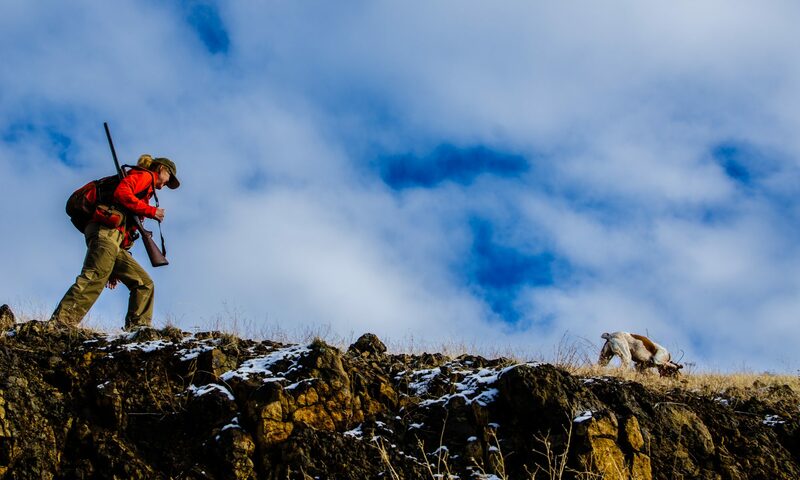 We are blessed as upland bird hunters to have so much of it to ourselves on any given day. Luckily Peat doesn’t have any bear-chasing tendencies. Nice video. Great vid! I can almost smell the sage. What is that purple looking brush in the creek beds? great colors down there. Next PostNext What do you do with your birds?